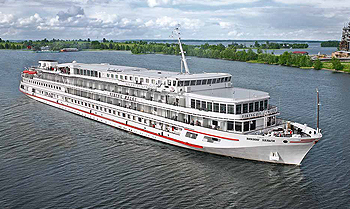 View all Viking Truvor cruises by clicking the ‘Cruises’ tab above, view our handpicked selection of Viking river cruise deals, or view more options for Viking River Cruises. Need help? Call our river cruise experts on 13 13 03 or contact us. Truvor, whose name means “our faithful,” took charge of Izborsk, an area near what is now Russia’s border with Estonia, controlling these lands for Kievan Rus. Regional cuisine workshops. A Bulgarian folklore presentation. A classic opera or ballet performance. These in-depth experiences are included as an essential part of discovering more about the places through which you cruise, and each activity is planned specifically to illuminate each itinerary. Sometimes you want to dig a little deeper. We offer a series of onboard multimedia talks to shed light on the history and culture of the places you visit. Topics may include Romanian and Bulgarian history, the Orthodox Church, the Vikings in Europe, and key words and phrases in local languages. These presentations provide a context for your own observations, enhancing your travel experience.